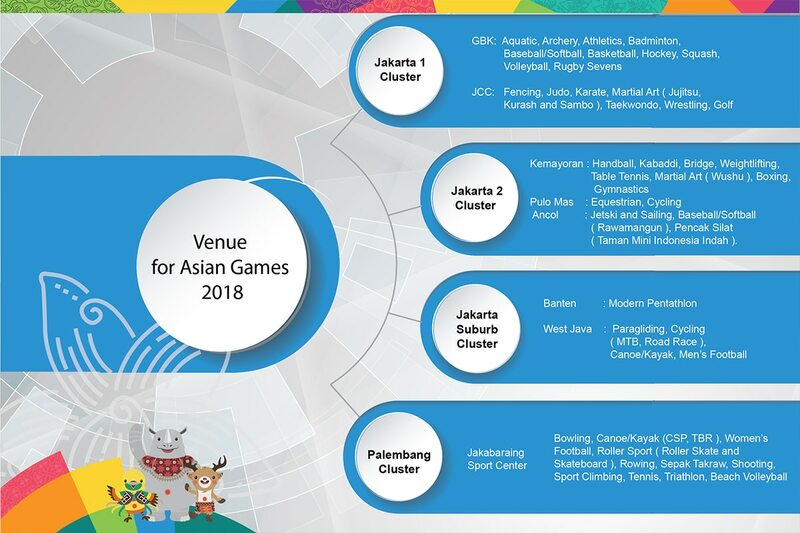 The long awaited Asian Games 2018 is set to be held in Jakarta, capital city of Indonesia, and Palembang, capital of the province of South Sumatra as co-host, from 18 August to 2 September 2018. In all, this year’s Asian Games will be participated by17 Asian countries, who will compete in no less than 40 different sports in a total of 465 matches. This is the second time that Indonesia hosts the prestigious Asian Games. The first time was in 1962, for which the Gelora Bung Karno (GBK) Sports Venue in Jakarta was specally constructed. This same location but now completely refurbished will be the stage for the upcoming 2018 Opening Ceremony as well as the Closing Ceremony and venue for athletics, swimming, men’s football and other popular nail-biting sports. To successfully accommodate the wide range of 40 branches of sports, the organizing committee (INASGOC) has advised participants, supporters and fans that venues are dispersed over 4 cifferent locations. 2 clusters will be in the Jakarta province, 1 at adjacent provinces, while 1 cluster will be in Palembang, South Sumatra. 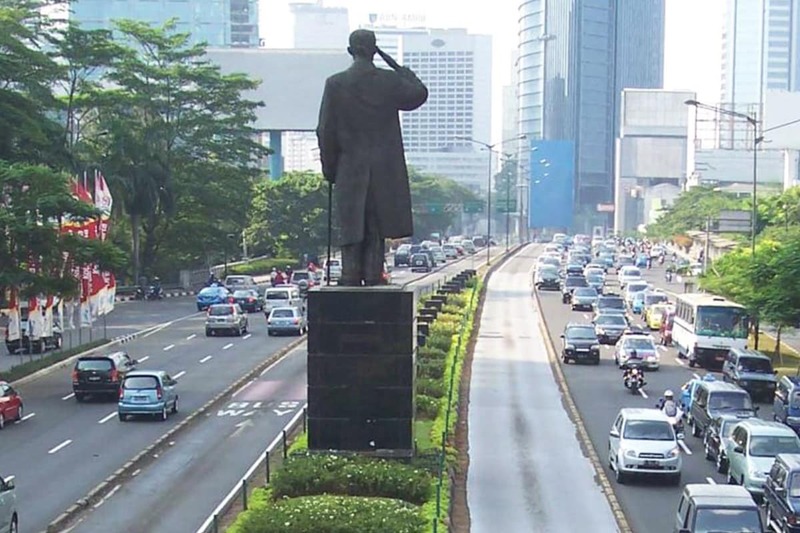 In Jakarta, besides the Bung Karno Sports Stadium at Senayan, other major locations are the Jakarta international Convention Center (JICC) also at Senayan, the Jakarta International Exhibition Center (JIExpo) at Kemayoran, the Equestrian Park at Pulo Mas, and more. The athletes village in Jakarta is located at the Kemayoran district, while in Palembang this will be in the Jakabaring Sports complext itself. The Senayan Main Stadium and Sports Complex lies in the heart of Jakarta’s Business District along the main Jalan Sudirman Avenue, while Kemayoran is located in North Jakarta, at Jakarta’s old airport area that has been transformed into a district for offices and Jakarta ‘s main Exhibition Center. Kemayoran is also close to the Ancol Dreamland, where sea sports races will be held.